The tradition was reborn six years ago. Just as I made matching pajamas for my own children each year for Christmas, I began sewing slipper jammies for my first grandchild. As each new addition enters the fold, I increase production. 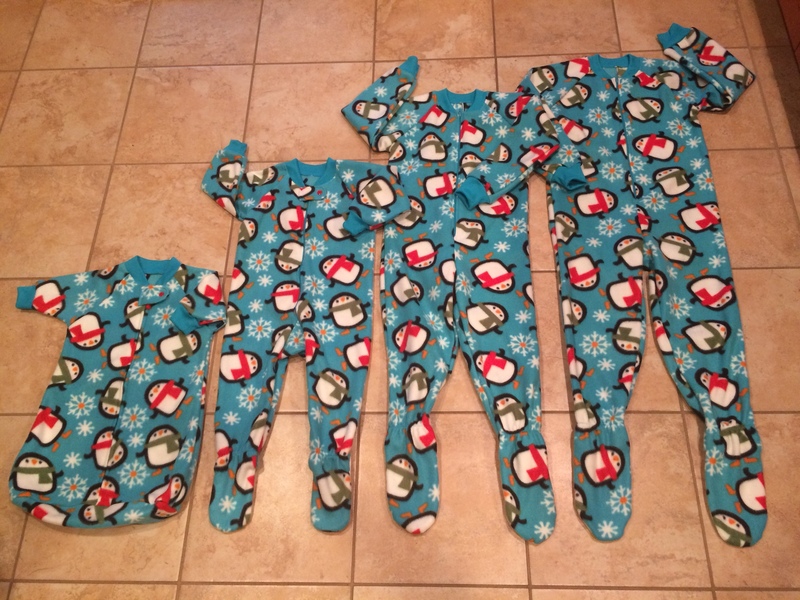 The top sizes grow larger each year, and I wonder how long the oldest will still want to wear footie jammies. 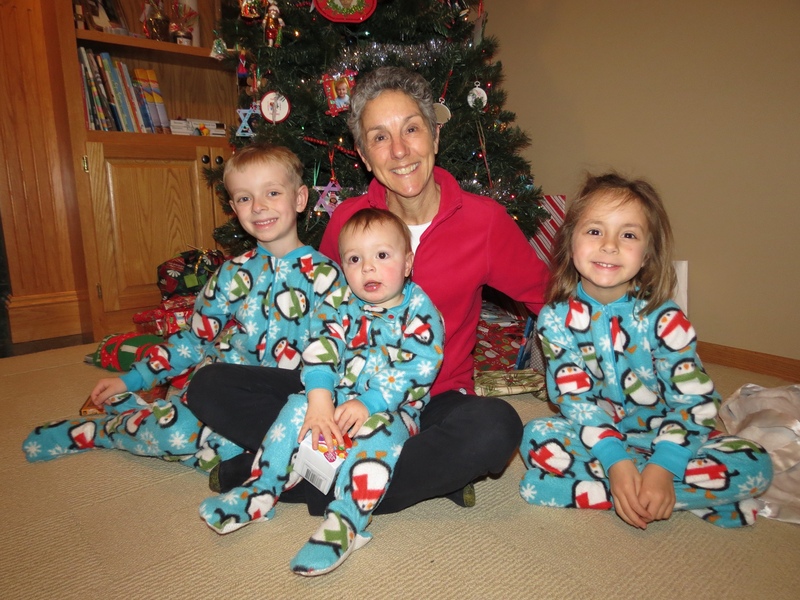 But I’m tickled that at age 6 1/2, my Grammy jammies are still popular. As I commenced sewing for this seventh round, a new grandchild was on the way. Soon a cousin would join the three siblings. It seemed unlikely that the baby would arrive by Christmas, but it would be a shame to exclude her from the tradition merely for making an early entrance. Hence the first Grammy bunting was delivered. Although even this newborn size swamps little Maren it feels good to see her initiated into the tradition. And should she grow quickly, I eked out one more set with proper footies for her in a 3 month size. By now I know this sewing pattern really well and have it in every possible size. 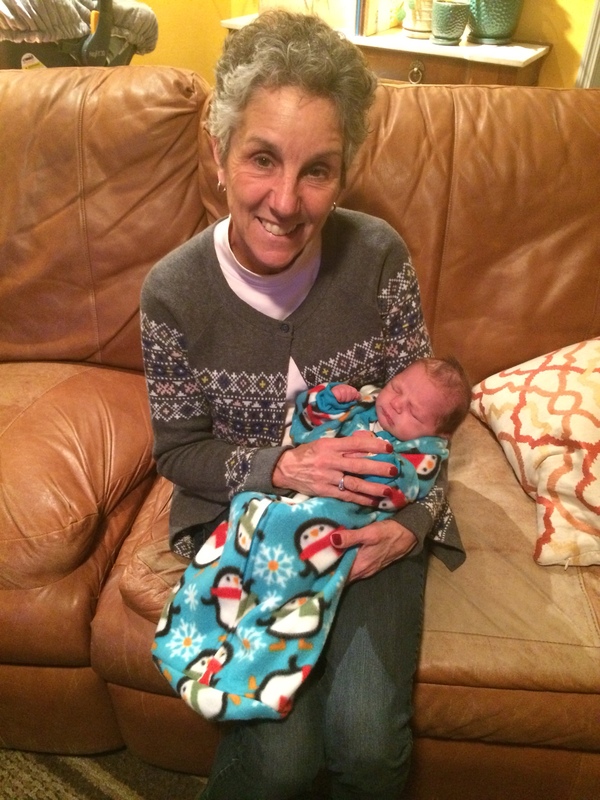 I’ll be making my Grammy jammies as long as the babies keep coming. If the current trend continues, that will keep me busy for quite a while.